Hydro is a fully integrated aluminum company with 35,000 employees in 40 countries. 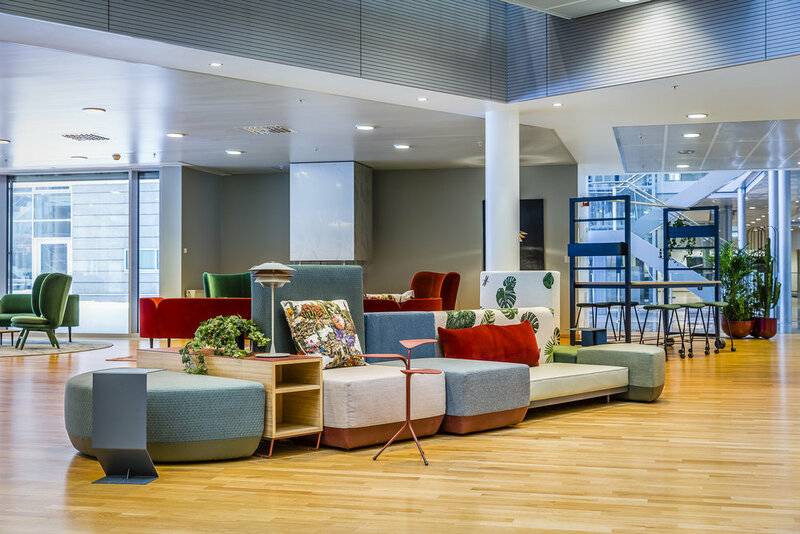 FabLab Design was tasked with renewing the reception area and lobby in the headquarters located at Drammensveien 260 in Oslo. This is a landmark building for Hydro, where aluminum, steel, glass and stone were the main materials used. The entrance area opens up into an impressive atrium with high glass ceilings and lots of light. The challenge was that these materials lacked warmth. Our ambition was to create a space that was welcoming, and which supports visitors needs as they sit, wait or work. The entrance had to create a positive first impression that welcomes and controls the flow of visitors. 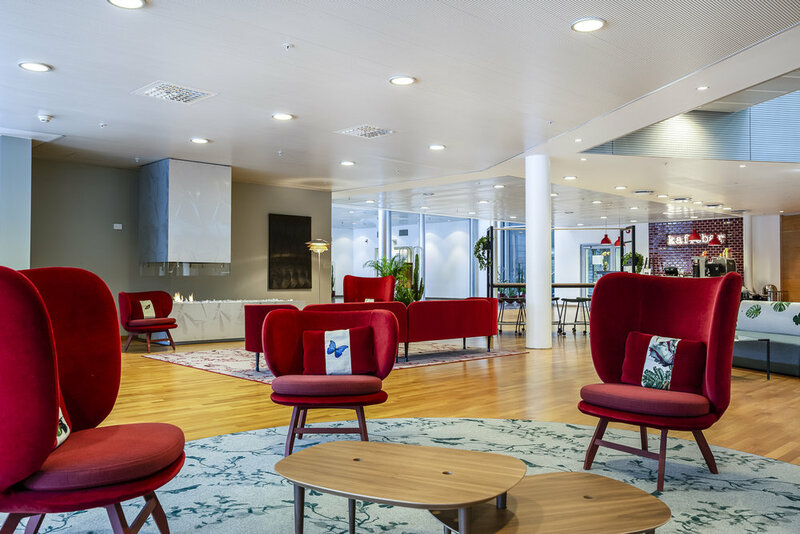 For employees the reception area is also an extension of office space which can be used for informal meetings. A deeper and warmer color palette was chosen, soft materials, wool rugs and textiles. 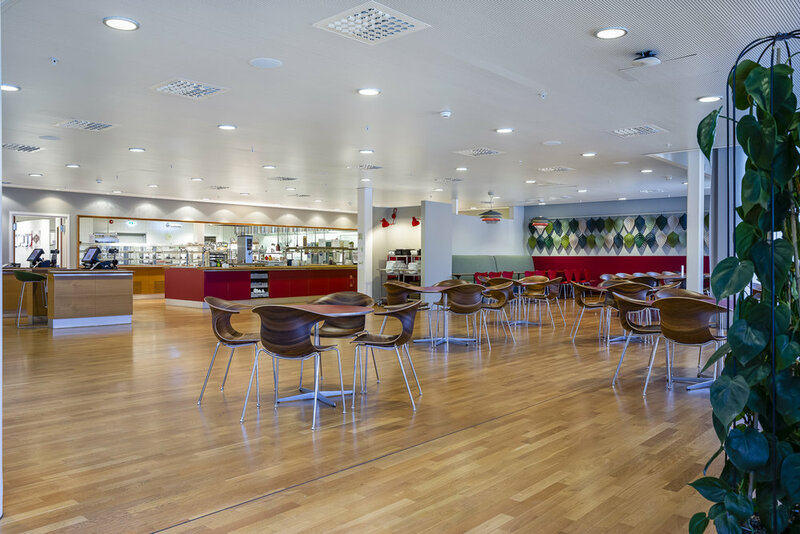 The large atrium area was divided into practical zones suited to small group meetings, individual work or reading areas. A functional solution that is also decorative, even without visitors. Doormats and carpet runners were also designed as graphic, decorative elements, in which the stripes in the carpet fabric reference features in the architecture.